In a statement, Senator Leila de Lima announced that she will be leaving the Philippines for nearly two weeks as she attends two separate events that will be held in the United States and Germany. Both events are official visits. She will be going first to the United States to receive an award. She did not divulge details about the award or who will be giving it to her. Her second trip will be to the city of Berlin in Germany where she is scheduled to speak at the Annual Conference on Cultural Diplomacy. The conference will run from December 14 to 19. According to the official website of the Annual Conference on Cultural Diplomacy, the conference is the "world's leading event in the field of cultural diplomacy". The conference is hosted and organized by the Institute for Cultural Diplomacy or ICD. The ICD is "an international, not-for-profit, non-governmental organization" whose main objectives include extending "current research, programs and practices in the field of cultural diplomacy" and creating a "platform to promote and sustain inter-cultural dialogue at all levels"
De Lima is among the 24 world leaders who will be delivering keynote addresses during the conference. Majority of the speakers are former presidents and prime ministers from various countries including Ukraine, Poland, Serbia, Slovenia, Romania, Afghanistan, Albania, Ghana, Romania, and Croatia. 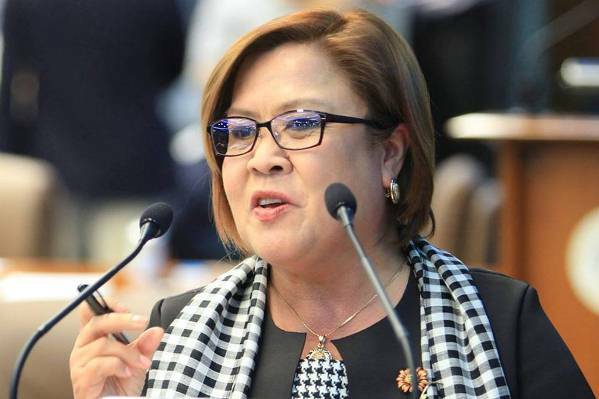 In her statement, de Lima said that both official visits are very important to her as a senator because she will have the chance to speak before influential world leaders and global thinkers. She added that the visits will be a great opportunity for her to learn about initiatives and challenges about cultural diplomacy. The senator assured the public that she will return as soon as her official visits are done. She added that members of her staff will always be with her during the foreign visits. "After complying with the travel documents required for a public official, I am now preparing to leave on official visits -- first to receive an award in the US and secondly, to speak at the Annual Conference on Cultural Diplomacy in Berlin, Germany. Both visits are very important to me because as a senator, I will have a chance to speak before influential world leaders and global thinkers on raising awareness and support for human rights, an advocacy I am passionate about. This is a great opportunity to meet leaders from various fields from around the world and learn from their respective government's initiatives and challenges about cultural diplomacy. There is, however, nothing to worry about as I will surely return, along with my staff who will be with me during these foreign visits. I hope my brief absence would provide a welcome relief and respite to my detractors and critics. I will keep them in mind though."